Forget about Harry's wand, his real secret weapon is his glasses! How is Harry suppose to battle trolls and a gigantic snarling Basilisk, not to mention He Who Should Not Be Named, if he's as blind as a bat? His treasured wand does a lot of really helpful things for him, but one thing it doesn't do is make Harry see clearly. Just imagine how disastrous Harry's magical endeavors could have gone if he couldn't see his wand outstretched in front of him! Thank Merlin's beard that he's wearing those signature circular spectacles, or Harry could have ended up with more than just a lightening bolt-shaped scar! If you're dressed up as the one and only Boy Who Lived, then you need to top your costume off with these officially licensed Harry Potter glasses. 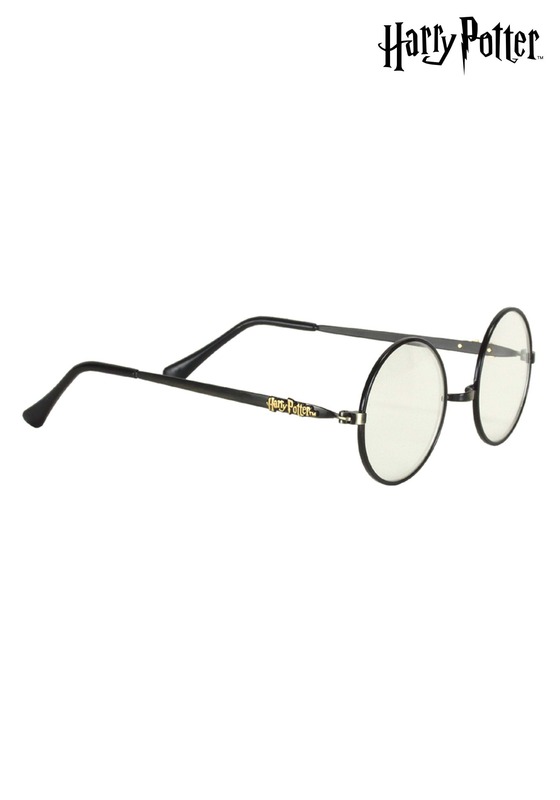 These thin wire frame glasses with round lenses will make the perfect finishing touch, just don't forget your Gryffindor House robe and you'll be ready to meet up with Ron, Hermione, and the rest of the crew!